PARIS — British and French industry were disappointed after their offer to build a technology demonstrator for a combat drone was put on hold, mainly by the U.K., Eric Trappier, chairman of the Gifas trade body, said April 12. “It’s true we were slightly disappointed, with our friend BAE, on the British issue,” he told a news conference on the 2017 results of Groupement des Industries Françaises Aéronautiques et Spatiales, or Gifas. The deal to build a demonstrator would have been worth €2 billion (U.S. $2.5 billion). The companies had hoped the Anglo-French summit in January would given the green light, but due to “mainly British reasons,” there was no announcement of a program launch, he said. “We are waiting for an authorization,” he said. “The British looked at their accounts,” he said. “They have not managed to find the money, or they have other priorities, or they are thinking of other things. The reality is it is not resolved,” he added. BAE Systems and Dassault Aviation are industrial partners on an Anglo-French project for a Future Air Combat Air System Demonstration Program (FCAS DP), teamed with Rolls-Royce and Leonardo on the British side, and Safran and Thales on the French side. The official joint statement which came out of the bilateral summit at Sandhurst military college was “light,” and now there is just talk of a technology roadmap, which is where the companies were five or six years ago, he said. The industrial partners felt a “brake” applied by the British. The project has not been cancelled but is on hold, he said. That could reflect a “strong turbulence” stemming from Britain’s planned exit from the European Union, dubbed Brexit, and a budgetary strain the British prime minister must deal with, he added. That “more modulated response” from London means the focus has moved to a Franco-German cooperation on a future fighter jet, he said. France has not abandoned the FCAS DP project, as studies continue and will contribute to the architecture for a future system for air combat. Brexit is a factor but not the only one, said Jean-Paul Palomeros, a consultant and former French air chief of staff and former head of Nato Allied Command Transformation. “There are many pieces, all moving at the same time,” he said. For the British there is Brexit but there is also the joint study for a future Franco-German fighter jet and a project for a European medium-altitude, long-endurance UAV, he said. Building a demonstrator for an unmanned combat aerial vehicle would be akin to putting the cart before the horse, he said. France is studying how to fit all the elements in the future system for air combat, which will include fighter jets, armed and unarmed drones. Gifas had 2017 sales of €64 billion, up 6 percent from a year ago, of which €44 billion was exported. Orders slipped 5 percent to €68.2 billion. Military aircraft made up 24 percent of overall sales, up 2 percent. The sale of Rafale fighter jets made up the bulk of those defense deals. 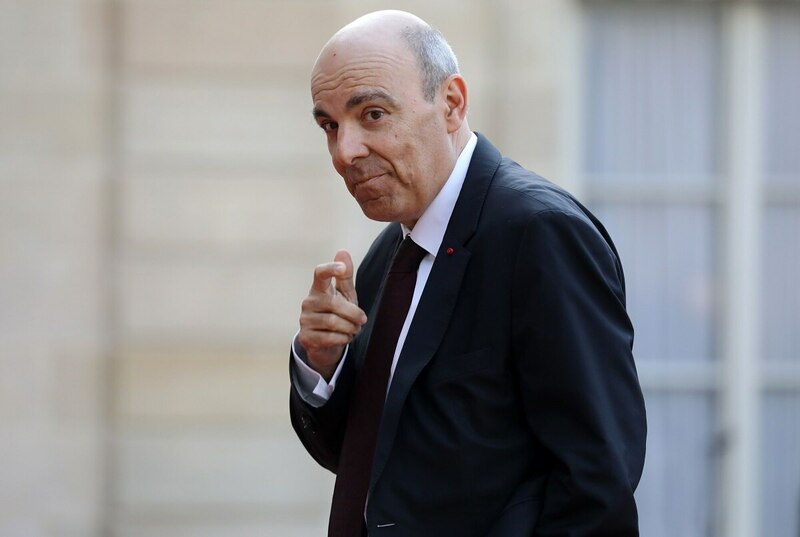 Trappier is chairman and CEO of Dassault, and also chairs Cidef, an association that speaks for the French trade bodies for air, land and naval equipment manufacuturers. “Following the Future Combat Air Systems Development Phase-0, we will continue our work on assessing the emerging conclusions before decisions are taken on future phases,” Britain and France said in a joint statement after the Jan. 18 summit.